More sunshine is in the forecast as the cold front that brought heavy rain and thunderstorms to the state dissipates near the Big Island. There may be just a few remnant showers mainly near the Big Island and Maui. 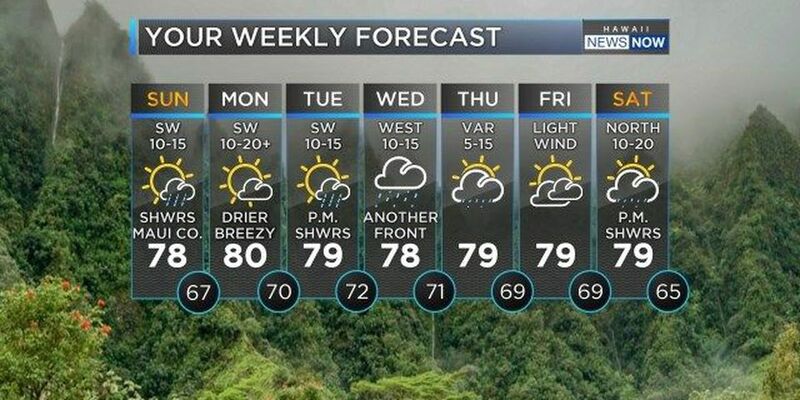 Weather should remain on the dry side until Tuesday, when a weaker front is forecast to start moving through the islands from the northwest. Winds will remain from the southwest as this front approaches. A High Surf Advisory is in effect today for the west shores of the Big Island. Elsewhere, surf has fallen below advisory levels but north shores could still have 8-12 foot waves, with west shores at 5-8 feet. A warning level swell could bring 20-30 foot waves to the north shores Monday night. For mariners, a Small Craft Advisory is posted for waters around Maui County and the Big Island. 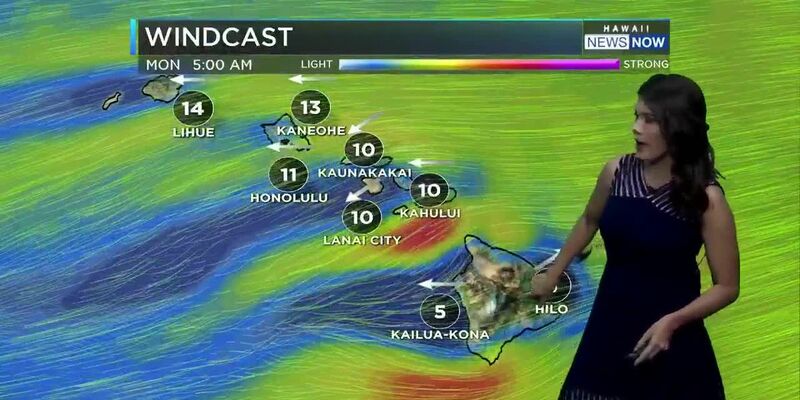 Go to the Hawaii News Now Weather page for the latest forecast or check out our Interactive radar.